https://www.bestwaytostopsnoring.com is an informational weblog for helping to share information about snoring, ways to stop it and any other useful related information. 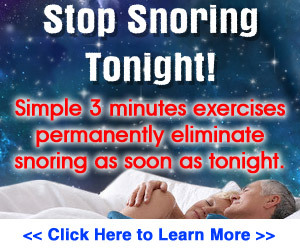 This web site aims to give useful, current information on the problem of snoring. In a fast moving world of new advances mixed in with plenty of quack remedies, we try hard to search out and include only the information, products and services that offer good quality and value for money for those trying to stop snoring. We offer a lot of valuable information, which can include advice, training, reviews, ratings and testimonials. And while all the information on the site represents true and unbiased opinions, and reviews from personal accounts and 3rd party websites, recent legislation means this site should probably be considered by recent laws to be an advertisement. It should also be considered to be an affiliate site as it can accept and receive some small commission fees and reimbursements if any purchases are made through the site. Any such reimbursements are gratefully received as they allow us to continue with our mission to deliver quality information and advice to you as well as compensate for hosting and other administrative costs. This site includes links that mean the owner will receive a percentage of the profit received from any purchases made after clicking through an affiliate link. These links put cookies (tiny files) onto your browser to ensure the site owner gets any reimbursements due. These tiny files CANNOT hurt your computer. If you do not like the idea of bestwaytostopsnoring.com receiving commission for any referred sales, then please do not use this website. You can read more about cookies on our PRIVACY page. Although we get compensation for any sales, leads or traffic we generate to affiliated sites, we do not and cannot control the fulfillment of orders nor do we issue refunds for any service or product you order. Please verify for yourself all information from the product/service manufacturer/provider. We give no guarantees, warranties or representations, implied or otherwise, for the content or accuracy of these advertiser sites. Before making any purchase, check the advertisers’ sites for all details, terms and conditions.